Cocktail conditioner for only US$5 dollars. 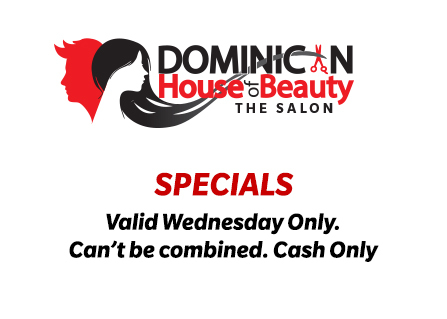 Get our special discount of any blowout of 20% Off. 10% Off any Linange Italy product line. 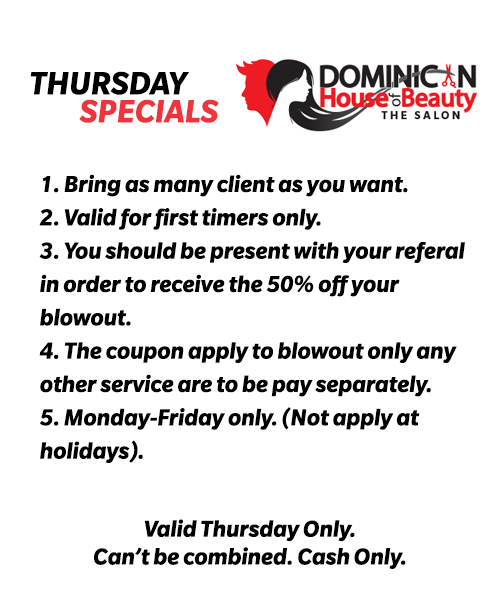 Bring a new friend and get a 50% off your blowout. 10% off for Military, Law enforcement and Seniors. ¡SUBSCRIBE TO RECEIVE OTHERS SPECIALS!